Home API management What is an API? Let’s go deeper: What is an API? The above explanation is all well and good, but in the end, it sounds way too technical for the layman. To describe the concept in further detail, you need to comprehend the basics. Let’s start with my favorite analogy of a restaurant menu. When you go to a restaurant to eat, you choose from the selection on the menu. From this point, you convey your choices to the waiter. He/she then takes your choices to the chef, they prepare your meal and it’s returned to you for a nice meal. From this point, you may ask yourself, do you know what the chef used in your fish or steak? How was it prepared? This back and forth analogy serves as a starting point for this explanation. Why? Because with an API, you really don’t know what’s going on behind the scenes at the restaurant. All you really know is that you gave your food order, it was processed and out came your dinner on a nice plate. Read more about the different types of APIs here. A real-world example is buying movie tickets online. You go to the movie site, you enter your movie, name and credit card information, and lo and behold, you print out your tickets. But what’s going on between entering your information to receiving your ticket? APIs, that’s what! They are collaborating behind the scenes with other applications. How is this possible you ask? This type of integration is called “seamless” because you never have a clue when a software role is passed from one application to another. According to medium.com, “In general, APIs define the rules that programmers must follow in order to interact with a programming language, a software library or any other software tool.” APIs keep the machine running. They are the catalyst to smooth application mobilization. Without one, you are missing the main ingredient for securing a smooth outcome for technological advancement. Learn more about API Identity and why you need it here. 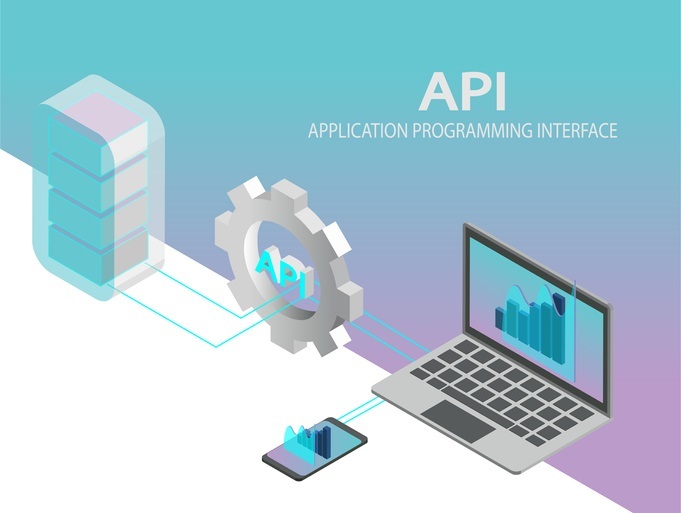 This article focuses on explaining What is an API? You will learn in layman's terms what an API is and how it's beneficial for you and your company. Next articleWhat is API integration?